The newly-merged Activision Blizzard may be planning to cut redundant staffers in areas where there's overlap with Activision and Vivendi, but the company plans to leave the Blizzard team untouched. 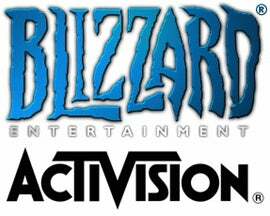 Activision Blizzard CFO Thomas Tippl told MCV that it'd largely be business as usual for Blizzard. "It's not like we need to go there and fix something," he said. "Blizzard will continue to operate as they have done in the past – fairly independently." "It would be a big mistake for us to distract them with new ideas." However, Tippl did drop a big hint that established Activision brands from the West would be introduced to Eastern markets by Blizzard – and would be boosted by the firm's reputation and expertise. "There are some opportunities we will be exploring there, especially relating to their expertise in Asia," he said. "If you consider that Guitar Hero is not in Asia yet and that the only way to create a business there is figuring out ways to work in internet cafes, etc., we hope to benefit from their expertise."